Hope Marshall is an award winning Digital Artist and Photographer. A town's peace is shattered when 3 teenagers are murdered. However, all three murderers are also mysteriously killed. Against the town's authorities' wishes the high school students, David and Sarah, attempt to solve the mystery of the murders. However, things get complicated once they find out that shapeshifters are at work. 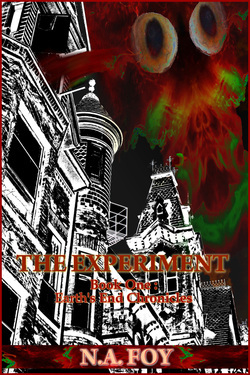 Next thing you know, David and Sarah become part of the experiment...a deadly experiment that is intended to bring about the Earth's End.